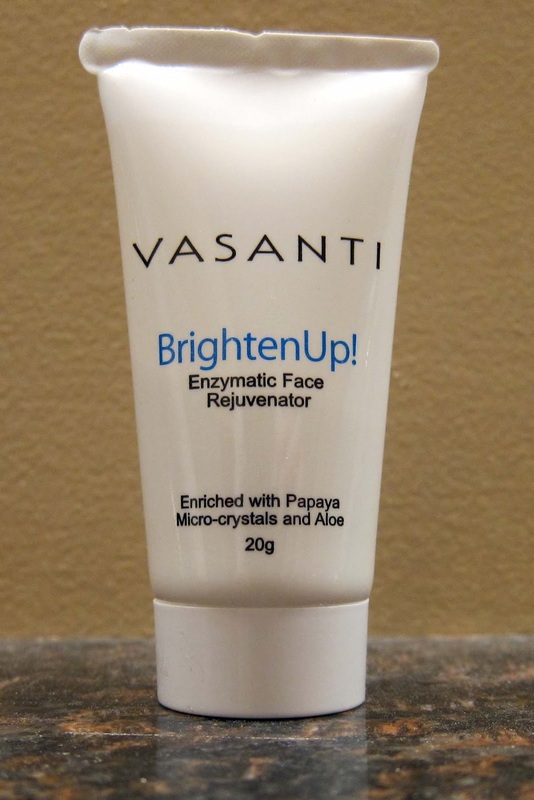 THE SKINNY: Vasanti's Enzymatic Face Rejuvenator (AKA exfoliating cleanser) uses papaya enzymes, dermatologist-grade micro-crystals, aloe vera and coconut. The name alone sounds fabulous. The ingredients list just adds to the allure. I rubbed a dollop of this cleanser into my cheeks and it hurt. Really, this cleaner feels like it contains the grit of 12 sheets of sandpaper in each dime-sized amount. I used it twice, and both times worried that it was going to leave my face incredibly red and that one of those micro-crystals was going to get washed into an eyeball and scratch it. The cleanser didn't leave my skin red. It didn't look remarkably brighter, either, so the few seconds of hurt isn't in my mind worth it. KEEP OR TOSS: I'm tossing mine. 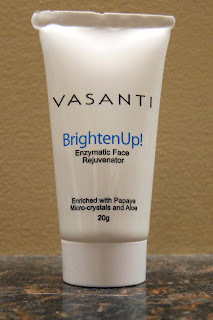 CHECK IT OUT: Read more about the ingredients in Brighten up (the aloe vera helps soothe skin after the exfoliating process) at the Vasanti website.